Uniform is a jQuery plugin that enables you to control the look & feel of form elements (checkboxes, drop down menus, radio buttons & file upload inputs). It is unobtrusive & works by hiding the original elements + replacing them with custom ones. Uniform is very easy to use & can be set to convert every form element on the page or any specific ones. The plugin has theming support & comes with a theme kit to quickly create unique forms. Free Open Source Ajaxed MySQL Table Editor, easy to create admin pages. Mysql Ajax Table Editor is an open source web application for easily editing MySQL tables & creating admin pages almost instantly. Besides the standard “add, edit, copy, delete, view” functionality, records can be paged, searched & exported to CSV. It is possible to JOIN multiple tables to generate a custom view (+ apply any other functions on this view) with the help of a configuration file. Also, column names displayed can be customized for a better presentation. 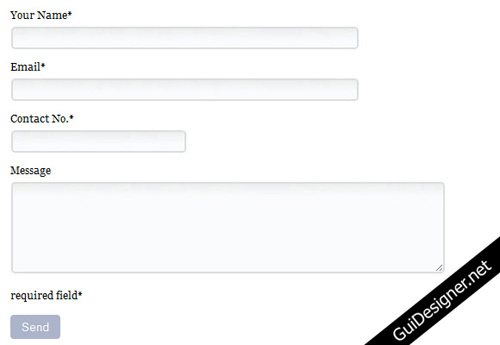 Jquery based Attractive Multiple Select Inputs, free for your web applications. 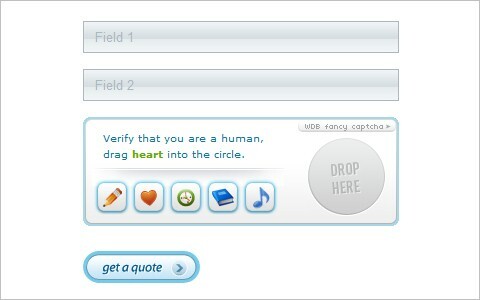 jQuery UI Multiselect is a widget that converts html multiple select inputs into slicker interfaces. It makes searching within the options possible which is very functional for large lists & selected items can be re-ordered by drag’n drops. It can display the number of selected items & for an easier selection, there are select all/deselect all links provided. The widget is unobtrusive & and be styled with ThemeRoller. Learn How To Use Pure CSS To Style Web Form Dynamically. Web application interface designs have evolved over the years, from the default browser style to having rich colour palettes design and dimensional background images. We have to thank the adoption of web standards and advanced CSS techniques for such improvements. Normal default web form elements look ugly and unprofessional. Nowadays, as web design require every element to glue together as a whole, we cannot leave the web form to their default style. In order to achieve that, we can use a very simple way which is CSS to change your form appearance.